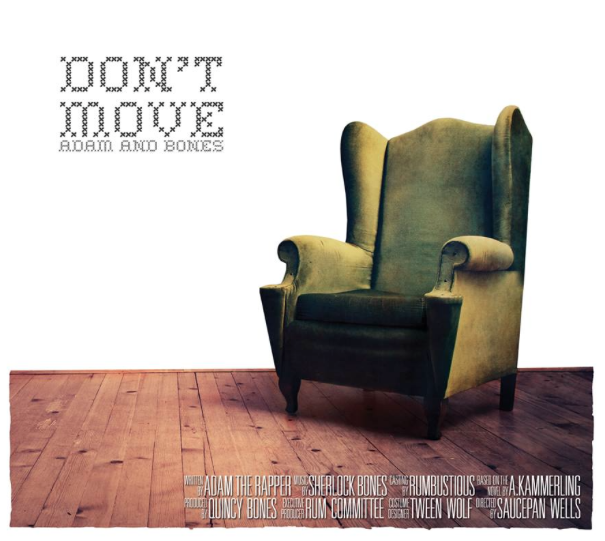 Adam and Bones – Don’t Move | "Up to date / state of the art / take part, get taken apart as I make my mark"
Straight outta Brighton, the newly formed Rumbustious Records are planning on putting out some great music in the near future, and they’re starting right now with this new project from Adam the Rapper (Adam and Cuth) and Sherlock Bones (Rum Committee). Its a free download, so a few clicks and its yours. Plus they’ve dropped the first video from the project for the track Harry’s Bar which you can peep below. Nice. This entry was posted on April 30, 2014 by Koaste in 2wo 7even 3hree, Hip Hop Videos, Live From The UK, New Release, The D is FREE and tagged Adam and Bones, Adam Kammerling, Adam the Rapper, Brighton, Rum Com, Rum Committee, Rumbustious Records, Sherlock Bones.